The 12-acre land, inspired by the "Avatar" movie, officially opens May 27 at Walt Disney World's Animal Kingdom. It cost a half-billion dollars to build. Disney designers are quick to say the new land is the star of the action, not the backdrop. 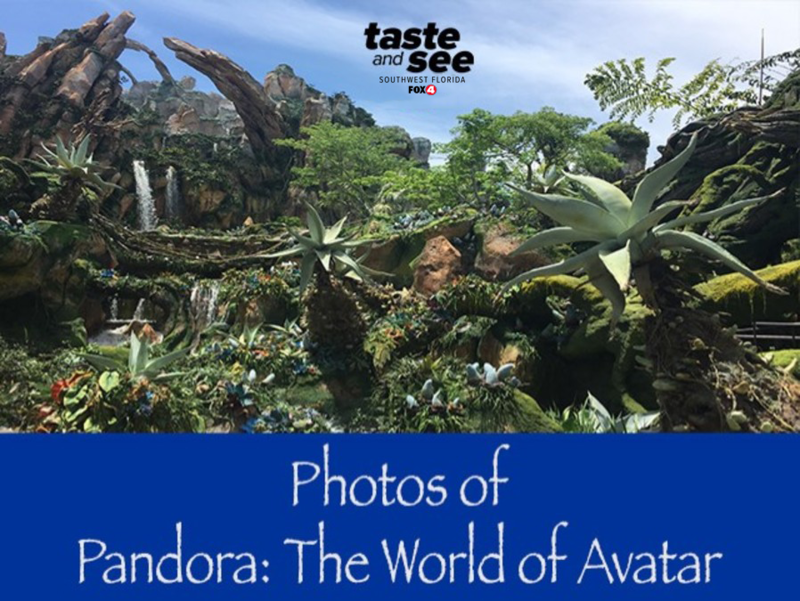 "The character is being portrayed and played by the place itself and that's different than a set," said Joe Rohde, the design and production leader of Pandora-World of Avatar. The focal points are a 135-foot (41-meter) mountaintop where Flight of Passage is located as well as "floating mountains" that appear to be suspended in air but are actually made of concrete. Engineers use tricks to make the park appear bigger than it is. The artificial foliage gets smaller as it goes higher on the mountain to give it the illusion of distance. Jon Landau, executive producer of the original movie, says he hopes Pandora does for visitors what the film did for movie-goers.